I love Bruichladdich. Love em I tell you! I’ve tried a few of their expressions. I love Octomore loads! I’ve tried a few of theirs as well. However…I think this is the first time I’ve done a Port Charlotte! Coastal BBQ. The sizzling bacon fat is bubbling away. The salted waves crashing in the background. From the colour and presumed (port Charlotte would have been going up to ten years at the time of this bottling so I would assume 6-9 years in a very active ex-sherry cask) age I would have thought more fruit present on the nose. But it’s very much a big, young, boosty Islay malt. It’s big ABV makes it harder to get your nose into. But with a litter perseverance the sherry spice and dark stewed fruit notes can be found lingering in the BBQ background. A little time in the glass and the fruit does wonder a little further forwards. Immediately some sherried dark fruits followed by a massive alcohol blast. As the blast subsides, it becomes quite maritime. Sea salt. Chilli and pepper. Peat earth. The fruit doesn’t return though. Salt and pepper. Some minimal fruit. Very warming. Drying wood tannins. Think this will take a bit but will go in stages. Dollop 1. Nose is still hot. Rummed raisin coming through now. A little fruitcake in the background. BBQ still there in abundance. Palate. Wow. Big stuff. Fruity peat. Lots of fruit now. Really chewy. Great mouthfeel. It’s big, brash and fun. It’s got a lot of sherried dark fruits coming through but not the intensity of a a’bunadh, more sherried fruits with a peat fired rocket up its jacksie. Still got quite a bit of heat mid palate, but the flavours are coming out. Finish has some very subtle peat smoke infused fruits. More berried fruit now as opposed to raisins. I would go black/red/straw berrys. Lets do another water dollop. Dollop 2. For reference we have cloudiness. The nose is now well fruited. With many berries in addition to the raisin effect. The BBQ is more bonfire now. Damp brown leaf bonfire. There’s a little toffee coming in with the fire. The palate is now without the big burn. The malt is more toffied in its nature. Still fruity, very little peat on the immediate palate. The finish has peat earth, toffee encrusted fruit bars. Some cereal is floating around the mix as well. Possibly malted milk biscuits. There’s some creaminess throughout the experience now also. With or without water?! Can’t decide. Work to do there I think to find the right balance. It’s an experimental dram. You could spend a whole evening with a couple of these exploring the nooks and crannies. It’s an experience. A complex, different, big beastie boy of a malt. Lots to do, see, smell and taste. It’s not easy going. It’s a marathon of an Islay experience. Worth taking up though. If you can find it! Bonfires! Dark fruits. Raisins, sultanas. 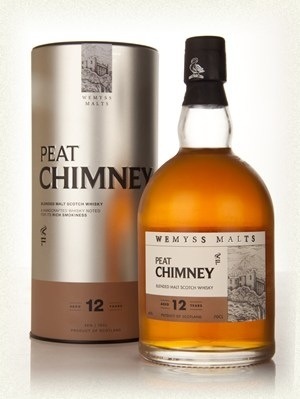 Sherry influence is prominent on the nose, the smoky peat bonfires are on the backburner(!). But they are there and a very pleasant addition they are! A little time in the glass though and they switch places with the bonfires coming forward and the fruit being scorched in the embers. It keeps changing. Very intriguing. Definitely some coffee in the mix. More time in the glass and the sherried fruit is dominant again. 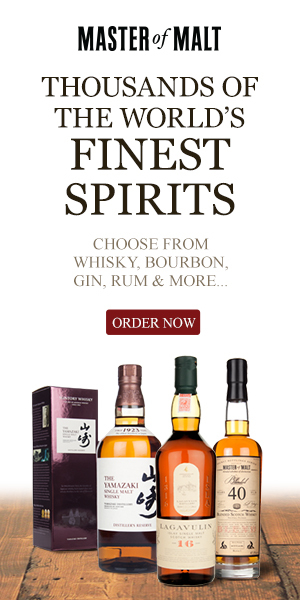 It’s a switcheroo of a dram! Quite a bit of sweet fruit, raisins, sultanas are here up front and not a lot of Islay, not a bad thing as I will conclude. But if your a smoke head then this may be a little disappointing. The development goes onto a little pepper, more chewy coffee with the fruit. 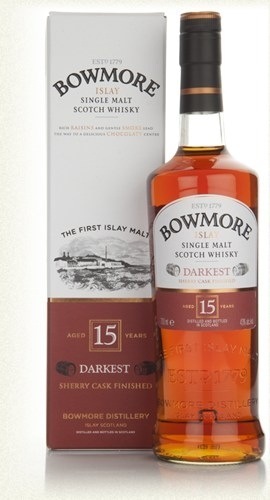 A little chocolate pops up and a little peaty earthiness and damp burning leaves. Quite long. Damp grass. The peat earthiness is there all along. Some fruit stays for a little while. But peat and smoke of the bonfire variety lingers. Not putting a lot in. The nose is more about the fruit and sherried malt now. Bonfires in the background again. The nose is lighter and more pleasant to smell with the addition of water. Lighter fruits are coming about as well. Some orange and citrus added to the mix. The palate has lost a little in the way of mouthfeel (understandable), but the tastes are easier to enjoy with the citrus notes joining in the enhanced fruity taste mix. The finish is much the same, long with fruity smoke piles. It’s worth a small drop of water in this one, though it does make the dram go down very very easily! I think this is a very pleasant. Easy, yet complex dram. 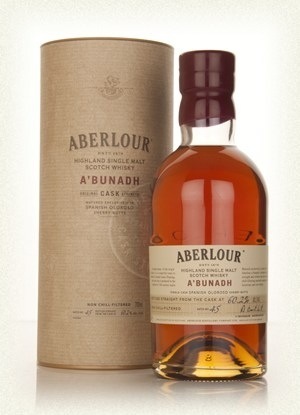 A very good introducer to someone who likes sherried/speyside whiskies or a beginner, who hasn’t experienced Islay yet. It’s not one of the big Islay experiences, but its a nice introduction and definitely a nice variation for someone like me who is a bit of a sherry head wanting an alternative experience. I love sherried whiskies. If you read my reviews you’ll see that as I usually have more to say about them than others. Doesn’t mean I don’t love the others. It just means that sherried whiskies, good ones that is, fuel my need to write. Kind of like a textual purge! Bear in mind this is a first opened bottle. First dram from it. If it differs greatly in time I will post updates. Deep dark natural mahogany. They look effing rich and sumptuous (will try not to use those descriptors again in this review! Lol) in the bottle. You know your in for a thick ride! Sweet spicy sherried malt. Serious PX influence. There’s a nice bit of aged oak wood spices also. Some rum drenched sawdust. A little polish. Bucket tonnes of dark fruits. Raisins, sultanas, plums. Some chocolate. A dollop of coffee. And spiced oranges baked in mulled wine! Christmas has definitely come early! Damn my barring of those descriptors! Errrr. It’s thick and juicy! Sweet PX big sherried monster malt. Then the bite comes. Subsides and develops into more sweet dark fruity pleasure. Mouthfeel is oily, chewy and all around big. Some oak influence in the palate showing a subtle age, but the sherry sweetness is the dominant entity here. Right up my street! Sweet oranges, chocolate, spiced oak chips, rum engorged fruitcake, raisins, sultanas, some coffee. More coffee, chocolate, oranges, rum and raisin. Drying out to sherry drenched oak, a little sawdust and toasted oak chips. Being cautious with the water due to the age. I think it will take a bit. 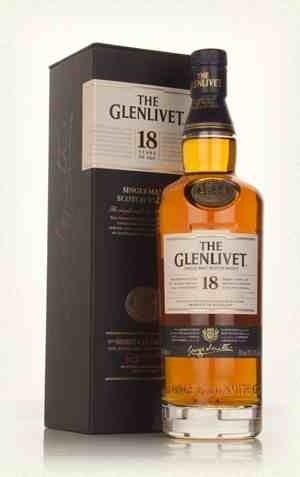 But I’ll go slow as its the first dram from this bottle. More balanced now. Quite delicately so. All the same fragrances are in place, little less fruit dominance and more stabilisation with the oak age influences making more of a statement. Fascinating. The palate. Sweet, fruity, tasty big! Less burn gives development more space and layers interchange between oak and fruit and aged spiced oak and chewy fruit and oak and yummm and ahhhh. Finish is lighter, fruitier, and, oh balls to it RICH and SUMPTUOUS! A little more water. Probably put too much in as its quite cloudy (a good thing I know, but maybe not for the age) and diluted. Lets see. The nose is more oak than fruit now. Lots of polish and wood. Fruit very definitely left behind. Palate wise, much weaker, still got its bits and bobs. But it’s lost a bit there. Finish is well, fruitier! How strange! It’s fruitier, sweeter and less oaky dryness! That’s a bit different! So. How much water? Well it’s worth a play. For me. It’s a dollop. But not too much! *update* – bit of time in the glass and the heavier diluted is really good! It’s just worth playing with this dram. Pour a large one. Make it last and add water several times during the hour or two you slowly spend nosing and sipping. It’s a good slow ride to awesomesville! It’s friggin awesome. 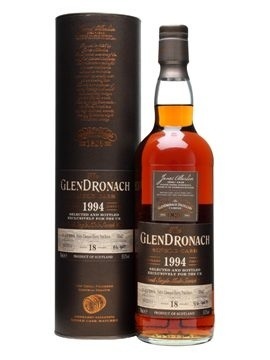 I’m biased because I love sherried whiskies and especially glendronach px matured whiskies. They don’t pay me or anything, but they can if they want! (I could do with a new job!) Lol. With time in the glass the kick slows a little and more layered dark fruits and rum cake come to the surface. It’s a fantastic nose. One of the best a’bunadh’s I’ve sniffed. Big big kick. Needs a good bit of water. But we’ll get to that in a bit. When the nip subsides you get the richness of the sherry. The rum soaked raisins. Hot pepper spices with some chilli. All soaked in sherry and a handful of raisins/plums. And some coffee as well. Drying and nutty. Some mild coffee infused dark chocolate. A little salt in that chocolate. And then fruitcake leaves you satisfied that another sip is definitely required! It needs it to really open up. So a good dollop. Left sat for a while. The diluted nose is still intensely satisfying, but calmed down. Now I get a good sense of wood oak spices and tannins. The in depth Christmas cake is there with added fruit. Spices are warm and cosy. It realty is a heartwarming dram for me! Spiced baked oranges are new to the diluted palate. Along with everything else that was there before but with less of an anaesthetic kick. The nose continues to develop in the glass. 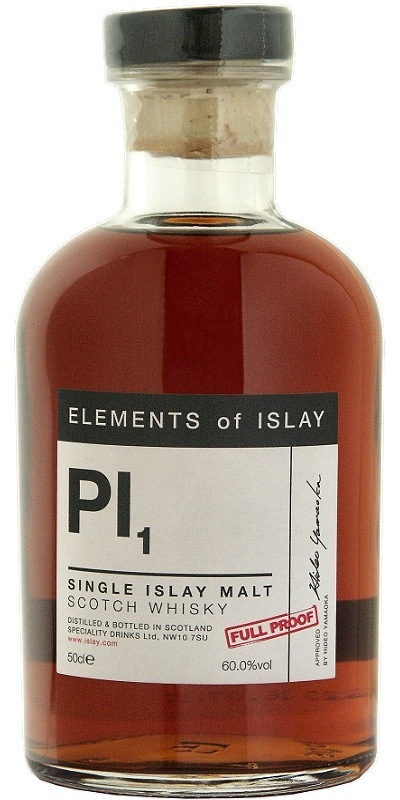 This is a good dram to experiment the effect of water and time with. Patience and time rewards! The fruit is getting richer and more rum soaked. Ah, it’s just sublime. Such good quality and enjoyment for the money. Bloody awesome. Sorry. Getting carried away with the joy. The palate is getting gentler and tastier with time. A richness to the sherried malt and rummy fruits is coming through, less intense, more mmmmmmmm. The finish is mellower, not quite as long, but just beautiful. It’s a complete sherry monster. But a bloody good one. Adding a little more water brings out more chocolate, coffee and orange notes. Just so interesting and deep! Toffee! Toffee as well. A thick rich one! Batch 45. It’s a good one! A very good one. I’m not the greatest at identifying subtle sulphur, or even dissing it, I can sense a bad sulphur fine. Batch 41 was dodgy in my opinion, not terrible but dodgy, water made it better. This one has none of the bitter or dodgy notes that 41 did. This is better than 42 which was the last bottle of a’bunadh I had opened. This bottle is not going to last long I’m afraid. Worth getting another one in for spare. Rich Sweet Vanilla, Nutty, Almonds, Marzipan, Some Floral pleasantness, aniseed in the background. Cinnamon spice. Like melting Liquorice Allsorts and snorting the outcome. Sweet spicy vanilla, chewy, creamy, some coffee chocolate creams. medium-long – chocolate, oak, a little coffee, and some mint at the very end in the drying finish. oak spearmint! Loads more on the nose. More floral, powdery sugared flowery sweets. Less marzipan, more balanced/integrated foral/vanilla/toffee. The palate is more layered, and allows for easier investigation. Lots of vanilla, spices, floral, all there waiting! Very impressive. My guess – heaven hill. Wood spice, burnt caramel, vanilla. Stewed Banana toffees. Hot, deep dark stone fruits, vanilla, toffee, thick mouthfeel, quite warm though. Sweet and dry! Dark fruits, dusty oak spices, drying out and very long. Wood tannins. Little drop. Kick moves to the side and gives more floral and wood dust. Very spicy, and still quite powerful. Palate has less kick, allowing for more fruit integration and better balance. A little more nuttiness and sweetness on the nose. more water gives more floral! My Guess – Knob Creek. And it was – Noah’s Mill (57.15%) small batch bourbon. on the nose, cask strength I would guess. Quite closed, hot almond marzipan burnt fruitcake. Cream, butter, light fruits, bananas. Time in the glass gives more spices, cinnamon, star anise, aniseed, liquorice, all light, but all there. Creamy, surprisingly smooth, and doesn’t suffer ABV kick like i was expecting it to. Very creamy, vanilla, custard creams I suppose. Stewed light fruits, apples and bananas mashed down and simmering in a pot. Mild, creamy apple pie. drying some oak spice finally. Nose is gentler, more floral and gentler spice. The nose definitely needs the water. 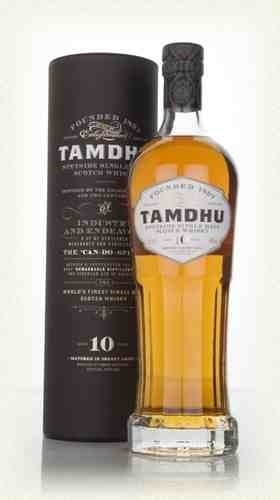 The palate is so light and creamy, very subtle and gentle, and therefore easy, a complete session dram. This one will go down a treat time and time again! Sweet powdery sugar, pears, sweetie shops, some charred oak, a little liquorice. Opens in time to be very creamy and biscuity. Very sweet indeed. Creamy, easy going, cereal and biscuits, rich tea. Light, but full mouthfeel. Sugared honey, minimal fruit. Cream sticks around. A little oak tannin towards the end. Lighter, weaker. More floral, less cream, more sawdust, less tea and taste. One to have straight i think. My guess – Roughstock Montana Whiskey. It was – Pikesville Straight Rye (40% ABV), £23.50. HEAVY! Lots of spice. Large amount of pungent clove, peppercorns, pepper. Everything is quite burnt and toasted with this one, there is some fruit in the background, but its heavily charred. Liquorice, lemongrass, some sweet cream coming into play. Initially sweet, rum like, almost liqueur. a little heat, oranges, cloves, thick sugar sweetness. Very mouth coating and sumptuous. Chewy. The cloves and complex spices are back, very long finish, warming, fun, very tasty. errrm, yum. The harsher nose notes are toned down to give way to discover some of the fruitier elements, oranges, sugary Caramel coated cloves. The palate is lighter but still has a lot of intrigue and investigation to warrant. Lots of spicy notes that you can spend a lot of time delving through. My Guess – Balcones Baby Blue Corn. And it was. High West Double Rye 46% ABV. £44.99. Massive thanks go out to Fran and Ken at Arkwright’s. 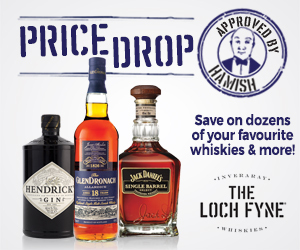 All of tonight’s drams and a sample dram pack are available there. 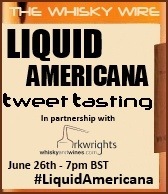 Thanks also to Steve at the Whisky Wire for hosting. 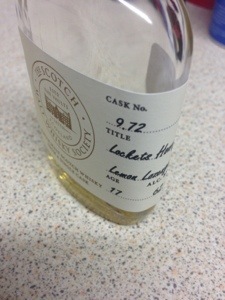 SMWS 9.72 Lockets Honey and Lemon Lozenges. Intense lemon citrus. Rich thick Honey. Powdery Vanilla. Icing sugar. There is a menthol/eucalyptus twang. Initially hot. Then waves of lemon followed by hot chilli spices. Milding out to hot toddy honey and lemon. Chilli sticks in there with some chewing but gives a more menthol freshness in the effect. Chilli fades to Vanilla, lemon, citrus peel. Drying out to oak spices. A good dash. Opens up more citrus fruits. Oranges. Some apple. Very much more lemons, juice and peel. More honey and vanilla. Richer overall. Some waxiness on the nose also. On the diluted palate the heat is calmed down and the chilli effect. Allowing for the honey lemons to be more exploitable. Sweet icing sugar coats those honey lemons! Mouthfeel is thick and chewy. Finish leaves some menthol and spearmint now alongside the citrus with a little fizz. Added another dollop. Still heat to the nose. Lemons seem diluted in favour of the menthol and oak spice/pepper/chilli. But then later was more lemons again. On the palate it’s getting more watery but still has an immense amount of flavour going on. Heat more diluted now, lemons, lemon oil, citrus peel. Oranges. Honey and vanilla and sugars all there still. Lighter and more layered now. Finish remains fruity as anything, warming and satisfying drying oak. Needs and can take quite a bit of water. Reminding me of old bassett’s sherbert lemons! Thanks to SMWS for sending me a sample. A little smoke lingers in the dark spiced dominant nose. Lots of spices there. Very deep and hefty. Pepper, Cinnamon, Cardamon, Honey, Vanilla. Minimal Dark fruits in the background, but they are there amongst the spicy soup. Sweet Toffee, Honey, Vanilla, Pepper. There feels a little smoke about the palate as well, just a bonfire in the background type smoke, not overly prominent, just there in the back, the odd little waft across the nose and tongue. 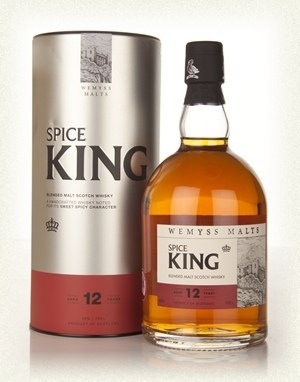 Warm spices stick around, with some drying vanilla and custardy creamy notes. Leaving a little wood oak, sawdust in the finale. Tiniest drop as its already low alcohol level. The hint of smoke has gone, and left behind the spiciness. Dark fruits appear more available on the nose. On the palate, its lost a little of its spicy oomph, this has been replaced with more honey and floral notes. The finish remains the same, but I sense a slight bitterness at the very end now I didn’t notice before. Spicy – Apples, Pineapple, Tropical Fruit Sweets, Honey, Vanilla, Lots of spice hitting the back of the nose/throat. Going to be warm this one! Drying Oak Spices and Chilli warmth. A nice Tasty Dram. A small drop of water. More fruit is evident, an enhancement on what is already there. The spice bite is reduced, allowing for more tropical fruit enjoyment. However, the spice bite isn’t gone, its just relocated to the end development and finish. Cracking!
. The Seaside BBQ variety. Medicinal with a wave of floral honey behind it. Seaside air wafting through fresh fish stands. Light, crisp. Easy. Spiced sweet peat, grass, earth. Briny oils coating the mouth. Honey and vanilla come in, with some pepper spice, and then break down to lighter honied notes again. all the while encompassing peat smoke throughout the whole development. Tiniest drop as its already low ABV. Tones down the smoke on the nose a little, the palate is still sumptuous and rich, but I would prefer this without the addition of water, as it weakens the overall experience a little for my liking. Plus I had hardly any of my dram left because I was enjoying it far too much! Ok, so this named malts thing I often giggle at, but this is Cadbury Crunchie in a glass! Chocolate, Honey, Rich Honey confectionary. Sweet sugared Honeycomb goodness smothered in milk chocolate. Need I say more? 🙂 Getting more toffee now, and some extra chocolate in there. Honey slightly subsiding, but still very evident. Very Sweet honey and vanilla, very creamy. Mouth Coating. Its difficult to pin things down because its about the whole experience. Thick Honey, Rich Toffee, Creamy vanilla, Light milk chocolate, some wood spices, a little pepper, Chewy as anything! Very creamy finish, drying with honied wood spices and a little dusting of cocoa. Drop into my portion of leftovers (it went down well!). If anything its more Crunchie! There is more chocolate, more honey, more everything. Really explodes bits of chunky sugared confectionary goodness in all directions with a drop of water. Palate wise its a little drier though. Has a bit of added waxiness in the later development and finish. Its a cracking dram this one. There was initially (this is a newly opened bottle) a smoky balanced blend nose to this, reminding me of johnnie walker black label. That soon changed completely. Now it is sherry based. Light fruitcake. Rum soaked raisins. Black cherry. Oak spices. A little pepper. Some milk chocolate. Oranges and peel. Quite a mouth watering nose. Fruity. Very fruity. Oranges. Raisins. Dried dark fruits. Toffee and sherry malt. Pepper. Quite dry. Some coffee. Chocolate. A lighter mouthfeel. But does have some oiliness to it. Some fizziness. Medium-long. Fruit and Toffee fading into Orange peel. Milk chocolate. A little coffee. Some bitter tannins. Taste a little peach at the very end. Like fizzy peach soft gum sweets! Just a small drop as its at 40%. Nose has a little more age on it with some sawdust and more oak spices coming through. On the palate this is also reflected, although things seem a lot mellower and better balanced. The finish remains as undiluted, though it dries out quicker. Well well well. Surprised. It’s a really nice, well constructed, tasty dram. I wouldn’t say it was intense, but a very easily accessible, easy drinking, stable of an aged sherried Whisky. I really like it. Price wise it’s a bargain. Was really expecting something pishworthy. But there you go! Can’t always tell by the supermarket label can you?!! Toffee. Apples stewed. Leather. Tobacco. Vanilla. Honey. Furniture polish. Rich oak spices. After time in the glass some darker fruits come through and a little fruitcake. A very complex and alluring nose. Now I’m getting some sawdust and older museum furniture notes. A light mouthfeel. Slow development. Sweet orchard Fruits. Pepper. Chilli. Mellowing out to more fruits. Apples. Bananas. Then more sherry notes. Fruitcake. Raisin. Grape. Very smooth. Sweet fruits stick around. Toffee and honey. Some age pokes through in the form of sawdust. A little soft spices. Drying out and leaving oak behind. 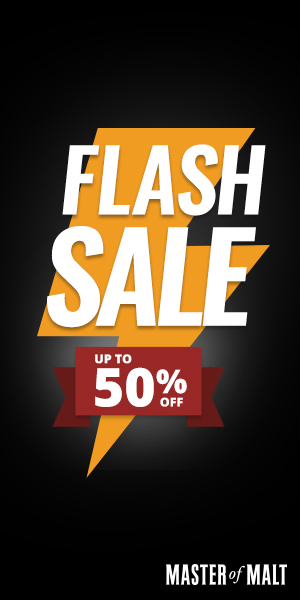 A small drop as already 40%. The compilation of fruits step forward with the aged notes retreating a little. Some coffee mocha is apparent on the nose and palate. 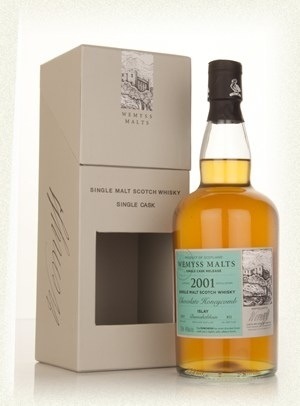 The palate remains full of fruit and spice and the toffee notes become more in the foreground. The finish has a little more age to it and a little less dry. Treacle toffee. Honey. Brown sugar. Gentle sweet. Initially I’m thinking almost simple. Considering its slightly higher ABV it’s easier on the nose than the others in terms of olfactory burn! Vanilla. Rum and raisin ice cream. Needs time in the glass to give more. Grass and hay. Showing age with Some floral polish. Oak spice sits in the background. Sweet and creamy. Light pepper burn. But very easy and smooth. Brown sugar. 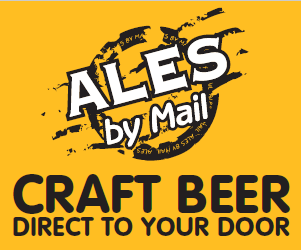 Sweet Honied malt. Some dark fruits coming through. Very chewy. A little salt. Sweet salty to dry. More sweetness in the sugar but some burnt caramel edges left behind. Drying oak is left at the end. A little bitter at the very end. A few drops added has increased the range on the nose. More spice is evident and greater depth to the dark fruits hidden in the background. Still very dark sugary nose. On the palate it feels slightly hotter. More spice and pepper and the fruit (as with the diluted nose) is more up front and concentrated. The finish gives a little more age and dryness. Much more complex with a drop if water. It’s a nice dram but feels the less complicated of the three. 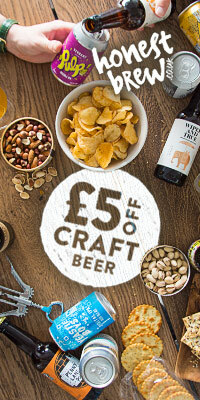 I was wondering if my palate was playing up and reset it with a break, food, beer and a pint of water! It’s easy. Accessible. Simple. And good quality. Just not as overly complex as I expected. I’m not sure if this is new bottle syndrome. But I will revisit in a month or so to determine this. 18 year old Comparison Conclusion. 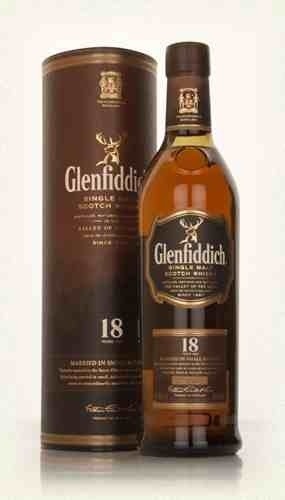 For me the Glenfiddich was the surprise winner! 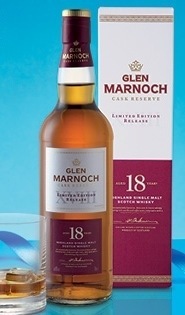 With a close 2nd from the Aldi Glen Marnoch. Again. More surprises. It’s funny how going into a mini tasting session like this can come with expectations which are flipped completely on their head! Starts off a little spirity. But time in the glass and this lifts. A light sherried malt presents itself now. Not intense or pungent. But robust and asserted. Lots of rum soaked raisins and sultanas. Some honey and brown sugar and nuts in the background. Sweet. Slow arrival. Pepper heat of youth comes through but dark fruits and oak spices soon overpowers this and become dominant. Honey and brown sugar then come and stay for the mouth duration. Quite an oily spirit, considering its lower ABV and presentation. Medium. Honey. Sugar. Fruit stays on the palate until the end. A little bitter at the very tail but remains palatable. Any spirty edge is dissipated with a small drop of h2o. The nose becomes more rounded, settled, sweet and fruity. The honey malt stays. It’s a soft, subtle, easy dram. On the diluted palate there is the familiar sweet honey and is smoother for the water. Still has a nice oily feel though. Finish is very nice, sweet and smoother and just plain nice! It’s a good easy drinker of a dram that needs a small drop of water to take the youth off. This dram at 15/18 years old should be stonking! Just a little time to wait. The dram does continue to develop in the glass. This is a brand new opened bottle which makes me think its worth going back in a month or so after its got some air to it. One last thing. It’s got an awesome bottle! Really heavy and quality glass! Tcp medicinal peat reek. Grass and hay. Tar. Rubber bands. Behind the Laphroaig signature there are some berry fruits. Just lingering in the background. Quite a hot and active nose. One for long sniffing sessions. Summer Berry fruits burst forwards. Strawberry. Raspberry. Red current. Actually not much in the way if Laphroaig profile in the palate. But then. Keeping it on the tongue for a good long while (surprising not as vicious as you would expect considering the cask strength!) does then give a little of the Laphroaig signature sweet peat, crisp, peppery flavour. Medium-long. Crisp, pepper driven, neutral, sweet hay/grass/peat remains with just a dash of berries. It’s moreish in this approach, the fruits staying in the mouth with the crisp peat flavours just make this an easy sipper. Too easy! Well, I really like this neat. But let’s out in a drop. Nose becomes very sweet. Peat well and truly up front. More berries revealing from the background in place of the harsher peat reek. The palate is a little more watery but the fruit is still on abundance. The reduced heat allows for more subtle tongue contact and gives more sweetness and balanced flavours. 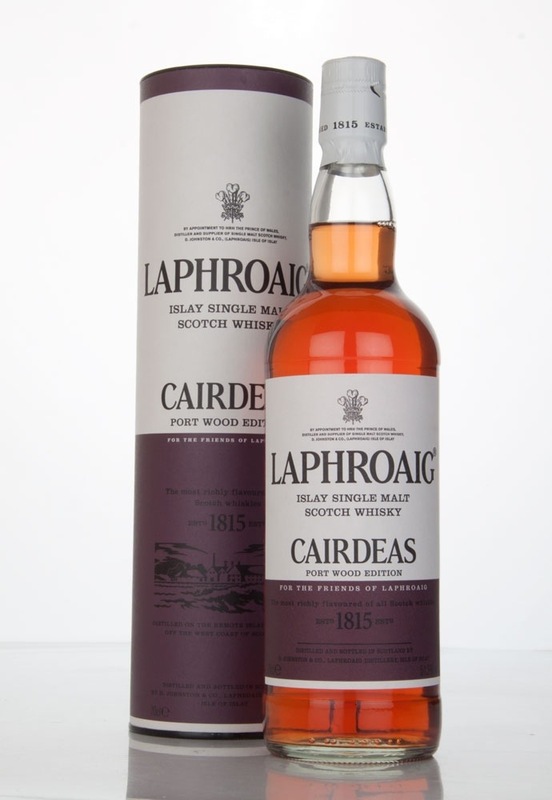 The diluted finish gives loads of peat sweetness and continued and more intense fruit. This is quite an epic dram. It’s so different from the Laphroaig that people will know and love its either going to twig with experienced Laphraoig drinkers straight away or get to their brains sometime soon enough, as I think it’s a dram that is hard to resist its pink fruity charms!